Hi, this is Pei from Good Neighbor Insurance. 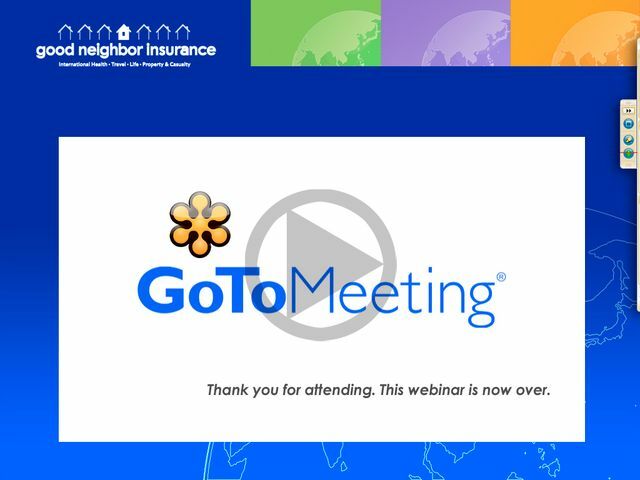 Thank you for taking the time to watch this webinar on saving your workers money on their international health insurance. If you have questions, I’d love to speak with you. Call me at the number above or email me at: Pei@gninsurance.com. I’ll let you know as we schedule new webinars. I want to tell you about a free Special Report that specifically details ways you can reduce your overseas insurance costs. We also have a free guide for those new to group insurance. When it comes to insurance, you can go to each carrier directly or you can allow us to hand select some of the best carriers in the insurance industry today and get you quotes, based on your specific needs, quickly and easily.